Rooted in the U.S. since 1901, Sylvania was acquired by SH Felio Acoustics in 2017 and has become a Chinese company, Feilo SYLVANIA, with the focus on the global market. Targeting the growing LED lighting market of South East Asia, Sylvania has been proactively expanding its business in the area and has set up branches in Indonesia, Malaysia, the Philippines, Thailand and Taiwan. 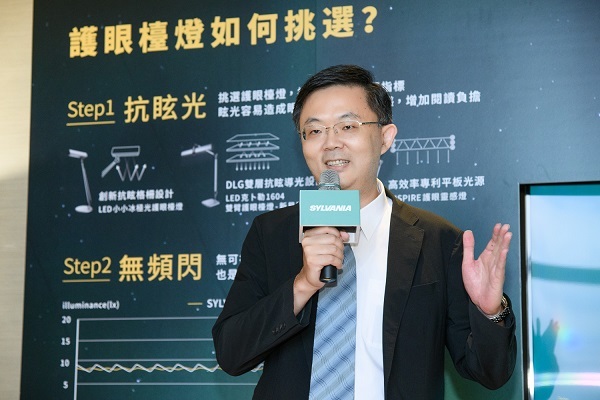 Sylvania established its branch in Taiwan in 2017, aiming to provide smart lighting and eye comfort enhancing products for the market. It has debuted different type of LED table lamps featuring lower wavelength of blue light, anti-glare and flicker-free lighting free for eye protection. According to Sylvania, the products meet the EU’s RoHS standard of no blue light hazard. In addition, Sylvania has worked with local craftsmen to design the table lamps using aluminum alloy, adding local characteristics on its global standard products. Aiming to extend its global market penetration, Sylvania set up an office in Dubai and has become one of the providers of the Gulf region’s metropolitan, architectural, and retail lighting solutions. The company also opened a high-tech laboratory for products design and manufacturing in Costa Rica.